Seeing a kite that they’ve made or helped to assemble soaring high in the sky against the awe-inspiring backdrop of the beach can be a real thrill for a child. That said, any parent that’s spent hours hoofing it down the coastline knows just how difficult it is to run in sand, and how hard it can be to keep a kite aloft. These 12 tips can help you make your next kite-flying expedition a fun and rewarding one, rather than a frustrating situation that leaves adults exhausted and kids grumpy and bored. ◾Choose a Windy Day – It may seem like a no-brainer, but a surprising number of novice kite fliers don’t realize that a light breeze isn’t often enough to keep a kite afloat. 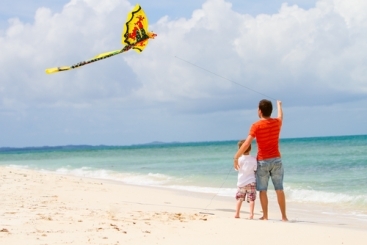 Make sure that there’s a moderate level of wind on the beach before making big plans to fly your kite. ◾Realize That There’s Such a Thing as Too Much Wind – On the flip-side of making sure there’s enough wind to fly your kite is realizing that there may also be too much. Breezes coming off of the ocean may be quite stiff, and too much wind can buffet your kite around before sending it in a free-fall plummet to the ground. ◾Put Safety First – Make sure that your kite flying expedition is timed to coincide with low tide so that you have enough room to move around, that you’re paying close attention to your surroundings and that you are well out of reach of any power lines. ◾Wear Plenty of Sunscreen and Eye Protection – Looking up into the sky at your kite will require you to also look into the general vicinity of the sun, which can be a real pain in the eye if you’re not wearing the appropriate eye protection. You should also make sure that you and your pint-sized flying partner are slathered in plenty of sunscreen to prevent burns. ◾Start Small – There are many varieties of kites, some of which are intended largely for a very experienced group of fliers. Be sure that the style you’ve chosen is considered acceptable for beginners, and isn’t too complicated for you to control properly. ◾Use the Buddy System – Kite flying is best when you have a buddy to help you out with the launch. Your partner should be holding the kite about 80 feet away from you, downwind. Give the line a pull when your partner releases it, then slowly feed out more line as it climbs to allow for greater altitude. ◾Make Sure You Have Plenty of Space – A kite is subject to any changes in wind speed, which are quite frequent near the shore. While it’s not always easy to make sure that your kite doesn’t come soaring down onto an innocent bystander, you can help to avert injuries by making sure that beach conditions aren’t crowded and that you have plenty of room. ◾Watch Your Tail – The tail on your kite plays an important role, but only under certain wind conditions. You may want to consider removing it on days with less wind, as your ultimate goal during low wind is to reduce the weight of your kite. ◾Forget the Wind Sprints – Running down the beach might be great exercise, but it’s not the best method of launching a kite and can lead to nasty collisions if your eyes are in the sky rather than trained in front of you. Save your beachside jog for a peaceful morning, and use the buddy system of launching your kite. ◾Be Aware of String Tension – A string that feels too taut is a sign that you should release more of the line so that your kite can climb even higher. One that feels slack or loose needs a bit more tension, so reel it in until you feel a light tug. ◾Pay Attention to the Weather – Weather at the beach can be anything but predictable, and the last thing you want to be doing is flying a kite when a summer storm erupts. While you’re keeping your eye on your kite, try to also pay attention to the sky around it. Any sign of an impending storm is an indicator that you should pack it in until weather improves. ◾Come in For a Safe Landing – Reeling the line in slowly as you walk towards your kite helps to control the speed, but it’s not always reliable when the controller is inexperienced. Make sure that there’s plenty of room around you when you bring the kite in for a landing, and be aware that high winds could cause the string to dig into your hands painfully. 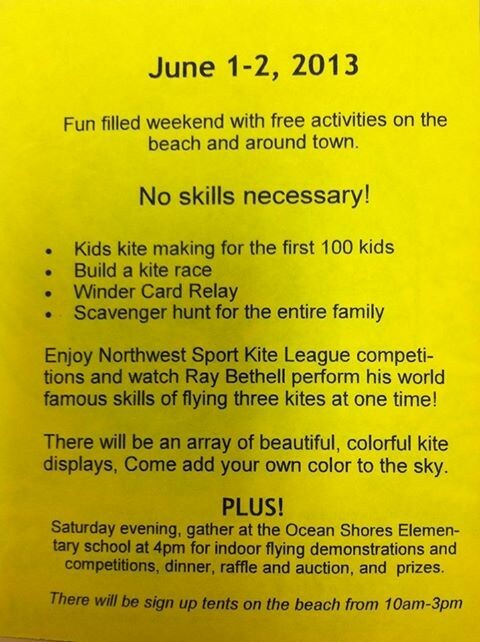 Thank you to Carrie Dotson for sharing these fresh tips for kite flying at the beach with the Sports Techie community. Kites were first invented approximately 2800 years ago in China. Materials used to construct these initial kites included silk fabric for the sail material, high-tensile-strength silk for the flying line, and natural bamboo that made sturdy, lightweight frames. Designs often mimic flying insects, birds, and other real and mythical animals. On larger kites, hinges and latches are placed on these kite for easy disassembly and folding for storage or transport. Cheaper mass-produced kites are normally made from printed polyester rather than silk. Kites have led to many a scientific discovery. Benjamin Franklin proved that lightning is indeed electricity. Kite flying morphed into the Wright brothers aircraft flight. Alexander Graham Bell and Lawrence Hargrave created large man-lifting kites. Kites have played a historical role in lifting scientific instruments to measure atmospheric conditions for weather forecasting. All this kite modification led to the Stratosphere by Red Bull flight this year as our search for more ways to fly moves into a race to space. 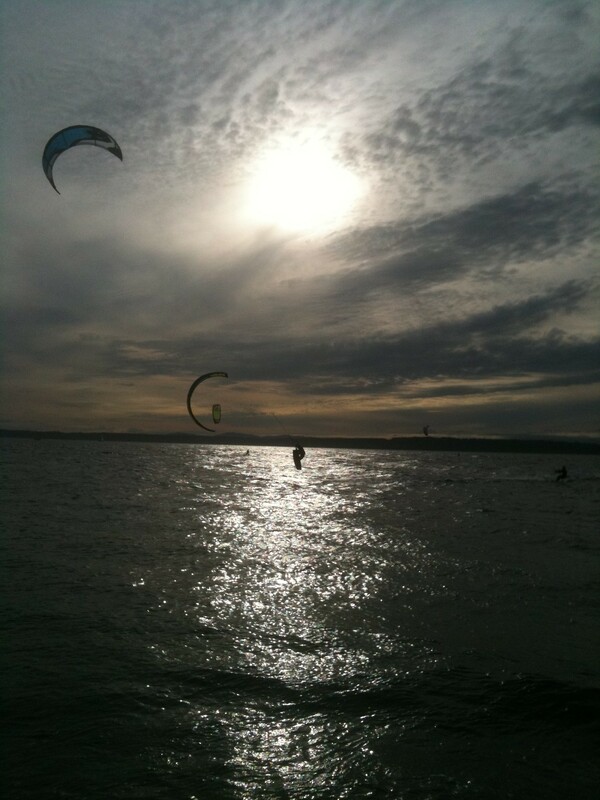 Perhaps my favorite Industry invention is the kite board. It’s a sports technology centric product that takes nerves of steel to fly a technologically advanced board and kite above water at higher altitudes, or while doing acrobatic feats like a 360, twisty or a massive big air jump. Remember these important kite-flying safety issues. The kite line can get tangled up with electrical power lines, causing power blackouts and the risk of electrocuting the kite flier which is why the beach may be the safest place to kite fly. Benjamin Franklin would certainly remind you that wet kite lines or wire can act as a conductor for static electricity and lightning. Pay attention to the weather by checking Doppler radar and wind gauge devices. In all seriousness, the largest kites can lift a Sports Techie off the ground or drag them into other objects so be aware of this fact. Because of these real dangers in city areas there is usually a flight restriction on how high a kite can be flown which is a good way to prevent kites and lines from causing havoc in the airspace of helicopters and lighter aircraft. Finally, be sure to use eye and sun protection tech that was not around generations ago for ancient kite flyers. 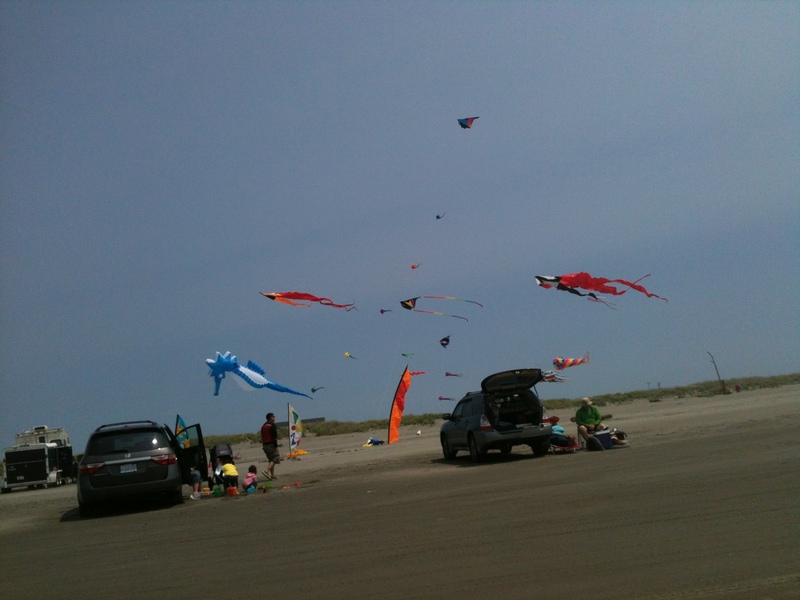 Might I recommended a Sports Techie trip to Ocean Shores, Washington this summer with family or friends. This lively beach community along the Pacific Ocean loves kites and kite flyers. 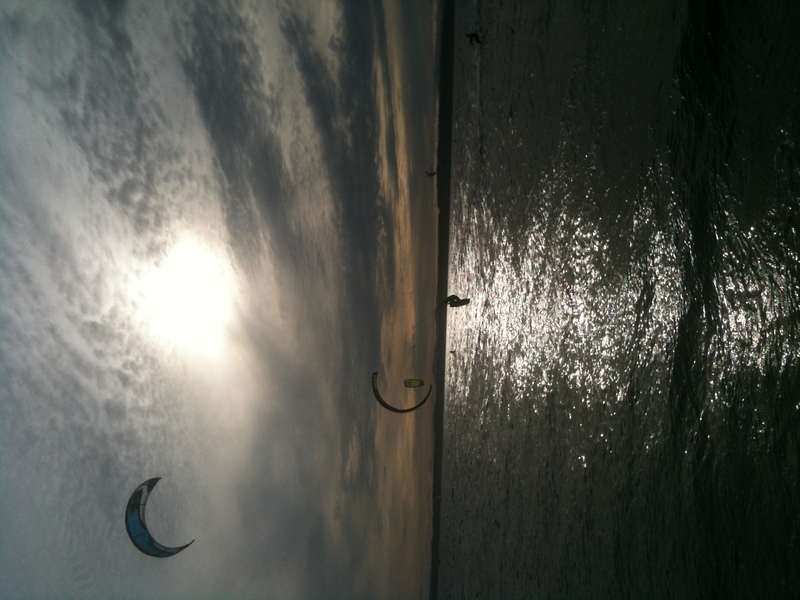 Join them in June or in August for fun kite flying events with plenty of windy days. Come fly a kite! It’s fun for everyone from novice to professional. Viewers can watch colorful kites soaring in the skies. Call 360-289-4103 or visit www.oceanshoreskites.com. Sports Techie, Our tremendous gratitude goes all year long to the many people and animals that have served in the military in the name of freedom. The United States of America and the world are better places for it. Kites have provided many different services during war times. If you have family, please enjoy their company. If not, you are not alone, our Sports Techie community is your friend. 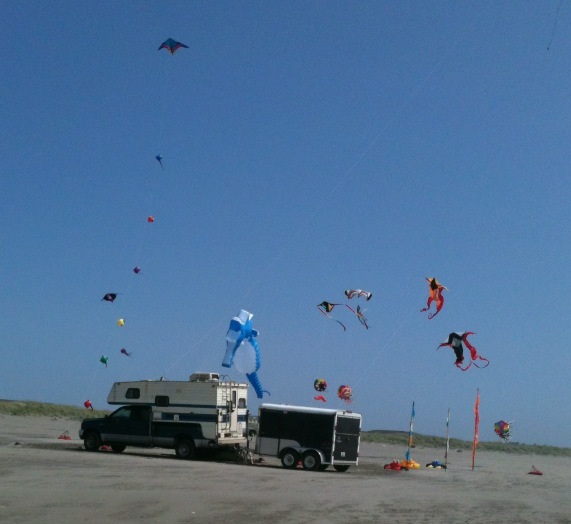 Please leave a kite friendly comment below or at any of our social media network links below. Thanks for sharing these great tips, I’m pretty sure they will be helpful for everyone who’ve just started with kite flying!